Nevada’s move towards online poker continued this week with the approval of three more major casino players, Golden Nugget, Fertitta Interactive and Boyd Gaming each receiving the formal go-ahead to continue developing their real-money poker sites for Nevada residents. All three received final approval after receiving the tentative go-ahead by clearing earlier Nevada Gaming Commission suitability hearings. 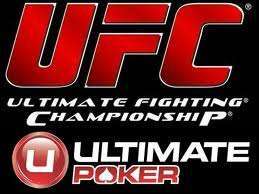 Fertitta Interactive will launch its Ultimate Poker brand, connected to its Ultimate Fighting Championship franchise, in early 2013. Combined with the slowdown for early pacesetter South Point, the recent approvals by the NGC indicate that the state is indirectly shooting for a coordinated rollout of between four and six competing sites, now likely to occur in January or February of 2013. Nevada’s steady forward-slogging continues as the state also occupies “most favored nation” status (and yes, we know Nevada’s a state, not a nation) in the preliminary draft language for the proposed Reid-Kyl federal online poker bill, which seems to have about a 1-in-4 chance in passing during the 2012 lame-duck session. Should Reid-Kyl be attached to other legislation and shoved through Congress, Nevada could serve as the operational hub for other states who wish to opt in to online poker, receiving a 30% slice of revenue, though few if any other states are currently projected to opt in to a Nevada system. 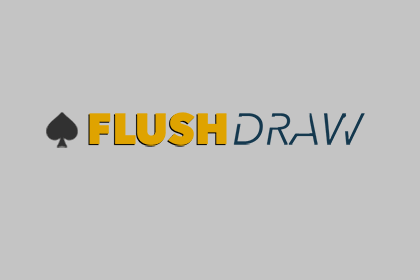 Despite the buzzing cloud of activity, it’s good news for the new licensees themselves, each of which is likely to offer one or more very marketable brand names in the burgeoning Nevada online poker market. The first of the three to be approved in last week’s hearings was Boyd Gaming. Boyd’s most famous brand, curiously is outside Nevada, that being the Borgata in Atlantic City, but there’s no reason that the Borgata brand name couldn’t be used for a Nevada-only site. Boyd also operators the “Coast” family of Nevada casinos, which include Suncoast, Gold Coast, and several others. Boyd Gaming had previously announced a deal with online poker giant bwin.party (home of PartyPoker) for software services, pending bwin.party’s own approval. That approval is not guaranteed to occur, with opposition existing to bwin.party, which means that Boyd may quietly be readying a backup software plan if bwin.party’s separate licensing process falls through. Fertitta Interactive, also approved last week, has already announced its plans to launch a brand called Ultimate Poker, which will be tied in with its popular Ultimate Fighting Championship franchise, which Fertitta also owns. Fertitta has decided to go ahead with the “Ultimate” branding despite connotations between that word and the now-defunct UltimateBet site within the poker world, which was rocked by a cheating scandal in recent years. There is no connection between Fertitta and the earlier UltimateBet site. The Fertitta family, which has actually sought two distinct Nevada online gaming licenses, also operates the locals-friendly “Station” chain of casinos in Nevada, which include Palace Station, Sunset Station, Boulder Station and others. Fertitta also operates the Red Rock, in addition to several other non-station properties. Unlike some of its competitors, Fertitta has also sought multi-part licenses which should allow it to keep most of its site operations in-house. Only South Point, among early licensees, has taken a similar multifaceted approach. Golden Nugget, the third of the three casino entities approved last week, will likely go live with its own real-money site in early 2013. The Nugget might be the most famous non-Strip casino property in Las Vegas, the crown jewel of the city’s downtown gambling area. The Nugget serves as the host site for the annual “The Grand” poker series, offers other tournaments and cash games, and also has multiple site-branding opportunities. Much of the Golden Nugget’s software and support will come from Bally Technologies, which has already been approved itself as a service provider. Several of the licensees already approved, which also include South Point, have launched play-money versions of their sites in anticipation of the expected early-2013 rollout for real-money play.